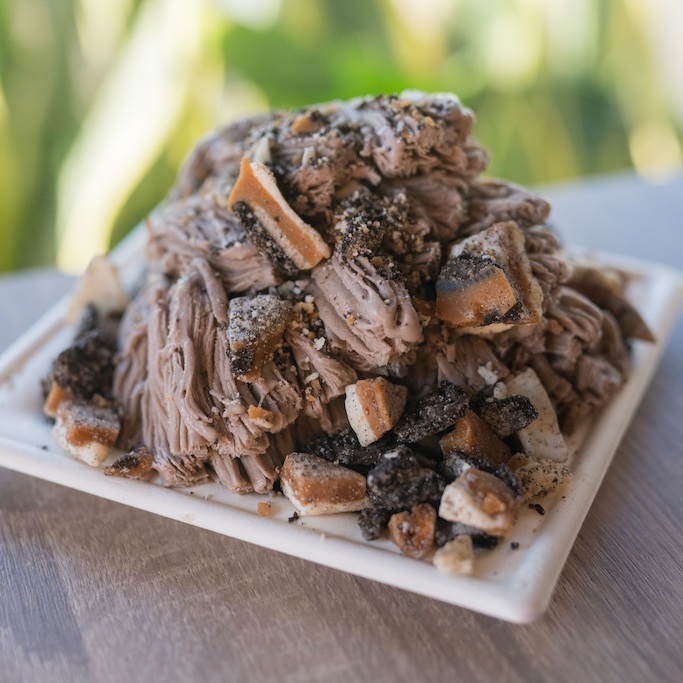 our signature "shaved snow" dessert. Shaved snow are fluffy, creamy layers of ribbon-like shavings from fully flavored, flash-frozen blocks made with real fruit. It melts in your mouth like frozen cotton candy. "Best snow ice I've ever eaten. I will never waste my money on shaved ice ever again."